Harvard said 25.4 percent of its admitted undergraduate class of 1,950 students is Asian American this year, up from 22.7 percent the year before. Harvard University announced demographic details about its newest class of admitted undergraduate students last week, including a record proportion of Asian Americans as a federal judge weighs whether the university discriminates against that group in its admissions process. The university said 25.4 percent of its admitted class of 1,950 students is Asian American, up from 22.7 percent the year before. The new figure is the highest proportion of Asian American students that the university has published in the last decade. Data released as part of a lawsuit against Harvard suggest that the 25.4 percent figure is the highest since at least 1980. The figure does not include international students, who made up 12.3 percent of admitted students this year. 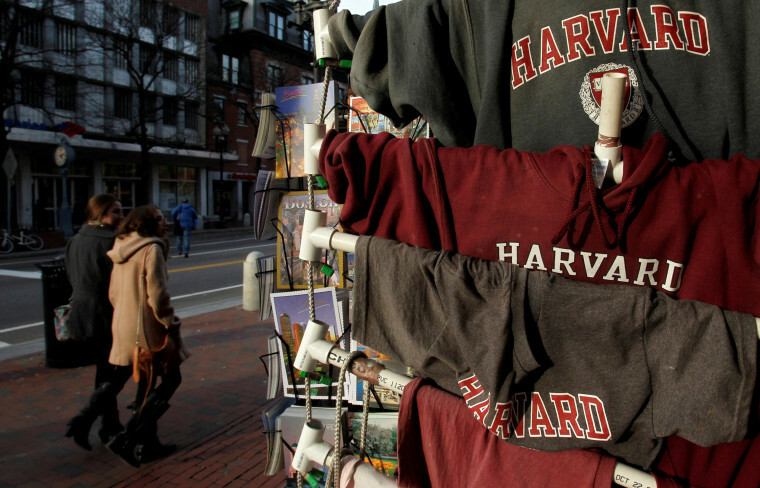 The announcement comes as a federal judge in Massachusetts weighs whether Harvard discriminates against Asian American applicants in its undergraduate admissions. Lawyers for both sides clashed in a three-week trial that ran from October to November 2018. The trial, which opened to a full courtroom and overflow seating, consisted in large part of two competing statistical models. Lawyers for Students for Fair Admissions — a group founded by conservative activist Edward Blum — argued that their model showed that Harvard discriminated. Harvard argued its statistical model showed that it did not. A decision in the case by federal Judge Allison Burroughs is expected in the next few months. The case is being closely watched as it could affect race-conscious admissions policies at elite colleges across the United States. It has also divided Asian Americans, with advocacy groups filing briefs in favor of both sides. NewsWhat is legal affirmative action? Harvard's race-conscious admissions go to court. Affirmative action — the practice by some universities to take an applicant’s race into account for admissions purposes — has been ruled constitutional but is subject to strict rules. Applicants to a program must be pooled together and compete against one another for the same pool of seats. For a university’s race-conscious policy to be considered legal, they must also show that race-neutral methods of diversifying their students — such as plans in which a certain percentage of top students at their high school are offered admittance, policies based on socioeconomic status, or programs based on a student’s area of academic interest — are not enough to achieve their goals. The case comes at such a time when the role of race in university admissions is being called into question. In 2011, the departments of Education and Justice under President Barack Obama issued guidelines based on court opinions on how universities may take race into account in their admissions if they desire. While the court opinions underlying those guidelines remain valid, the Trump administration withdrew the guidelines in July.